Photo credit: TBC @TheBromanceCrew on Twitter. The text string UPBaguio was trending on Twitter this afternoon, so I followed the link to see what the fuss was all about. There was apparently a bomb threat in the morning at the university as far as I could surmise from the tweets that the Twitter search yielded. I went to Google to see if there was any substance to the tweets that I had read. In no time at all, several local news sites confirmed that there was, indeed, disruption to classes at the university due to a bomb threat. 12 February 2014. Ateneo de Manila University. Text messages sent to employees saying that a bomb was planted inside the campus. On the other hand, maybe there are just those who really have sick minds because a bomb threat is never funny and certainly a lot of bother to innocent people who just want to get on with their lives. 25 February 2014. University of Sto. Tomas. Bomb threat first received by text messaging and quickly circulated by way of social media. 27 February 2014. 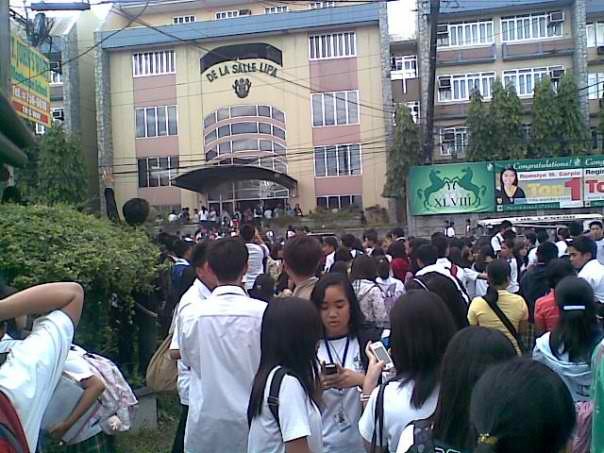 St. Paul's College Pasig. Anonymous message warning of a bomb planted inside the campus sent to school officials. 12 March 2014. Makati National High School. The guard on duty early in the morning received a call saying that a bomb would explode inside the campus. 21 March 2014. San Beda College Mendiola and Rizal Campuses. Security guards received calls from an anonymous caller warning of a bomb inside the campus. 30 July 2014. Far Eastern University. A member of the school’s security service received the threat by way of text message. 12 August 2014. Polytechnic University of the Philippines Main Campus. Text message received saying that there was a bomb somewhere in the campus. 27 August 2014. University of the Philippines Baguio. School officials received a text message saying that a bomb was planted in one of the buildings. These were just for 2014. If there were more, Google had these stories placed deeper in the search results; i.e. farther than I had patience to go digging. Besides, it was not as though eight bomb threats in the first eight months of this year – or an obvious average of once a month – was not remarkable or tiresome enough. All of these supposed bomb threats had two things in common. First, classes had to be suspended; and more on this later. Second, in all of the above scenarios, no bomb was ever located. In other words, each of the supposed bomb threats was always a hoax to begin with. I think it is safe to say that in most – if not all – terror attacks, the bombs detonate without previous announcements being made. Most of these attacks have underlying political motives. In the Philippine setting at least, it is a tad difficult to see a school – especially a private school – ever being a viable target. School officials, therefore, probably all know that any bomb threats will always be a hoax. That said, a bomb threat can never be ignored because there is always the off-chance that a rogue individual or group has indeed planted a bomb. Essentially this is what will happen: school officials need to notify the police, who then need to bring in the bomb squad including their bomb-sniffing canines. If the local police station has no bomb-sniffing canines, they will get in touch with the nearest military base that has a canine unit. Courtesy of the Facebook Group Stop Giving Us Bomb Threats at De La Salle Lipa! I have personally participated in a search back in 2010 when there was a threat in the school where I used to work. The search, I therefore know for a fact from experience, is conducted systematically, thoroughly and will always take time. That is why classes are suspended. It is always better if the threat is received before students and employees arrive. In this case, all the school needs to do is to deny entry to anyone but the police. School officials need not worry about human casualties on the off-chance that there is, indeed, a bomb. Things become substantially more complicated if an evacuation needs to be done whilst in the middle of a school day. Like I have said, chances are that there will be no bomb; so there is great irony in that people can be injured or even killed in the event of a stampede. God only know what sorts of motives people have when they plant these bomb threats. However, in the list of incidents I provided above, the bomb threats received in late February and early March are suspicious because these are when schools normally administer final exams to graduating students. The bomb threats at the Taytay and Mendiola campuses of San Beda College were actually during the final exams for undergraduates, normally administered on the third week of March. 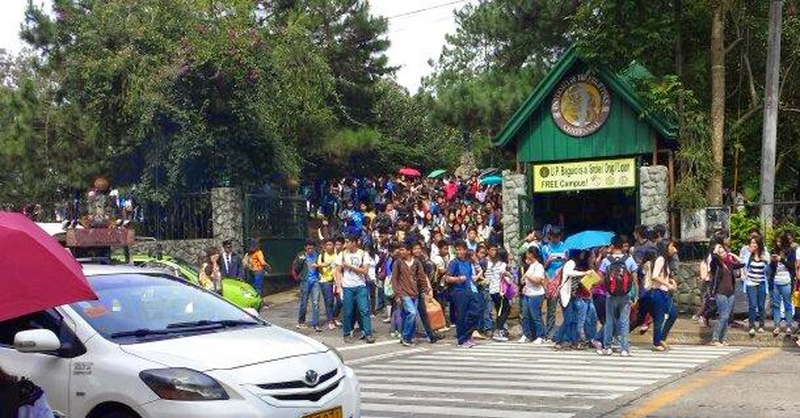 I do not know the academic calendars of PUP and UP Baguio, but August is also the month for midterms in many colleges and universities in the traditional June-March academic calendar. I am only guessing; but there does appear to be a correlation between the hoaxes and examinations. On the other hand, maybe there are just those who really have sick minds because a bomb threat is never funny and certainly a lot of bother to innocent people who just want to get on with their lives.